You probably love the ocean. Your beach perhaps. You may even surf. Or you may quite simply respect what Mother Nature so kindly offered us? 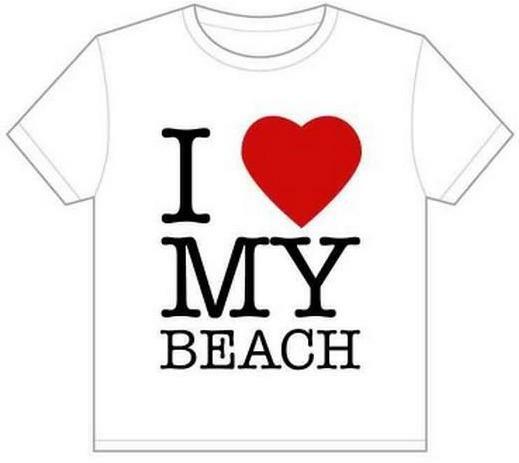 The I Love My beach tee is inspired by the charity Surfers Against Sewage’s Love Your Beach campaign, which is currently having a lot of success across the UK. 99% of the designers royaltees of this tee-shirt will go to them. There is only 7 days left to reach the minimal 10 orders that will send this design to print.... click here to find out more. I don’t know about you but I find this all thing rather sweet.